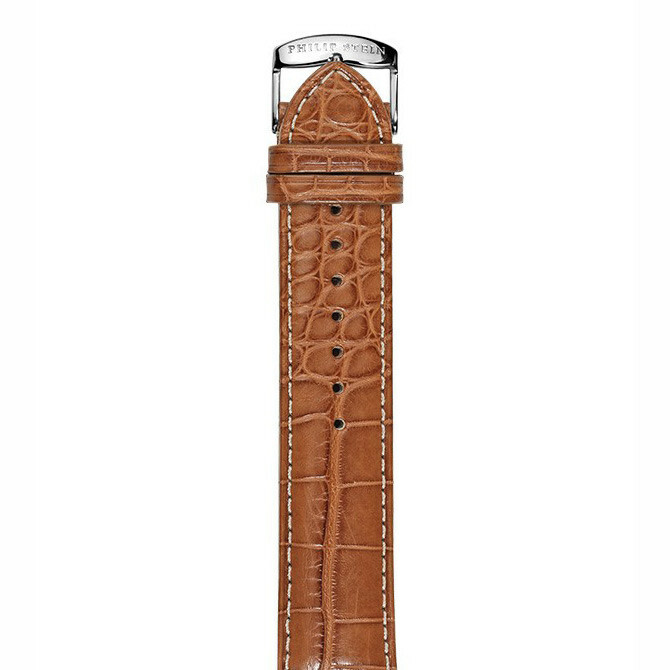 Unique textures make this Philip Stein watch strap a one-of-a-kind piece. Constructed in rugged alligator leather, the textured surface grabs the rich brown hue with style as the tan box stitch around the band adds yet another artistic element to the look. A stainless steel buckle, stamped with the Philip Stein name, keeps this piece fitted to your wrist with gracious ease, and this 22mm strap is designed for Signature or Classic collections watches in a size 3 that simply require a flattering Philip Stein flair!